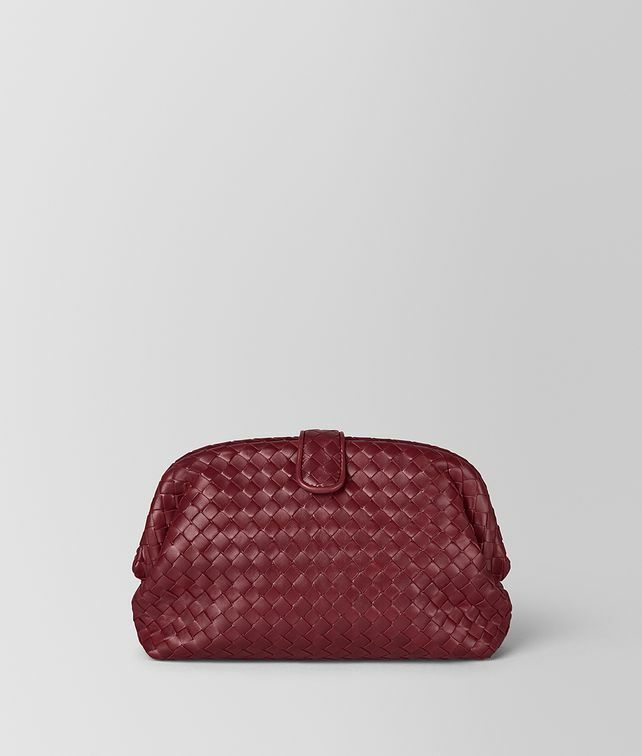 This timeless clutch was originally designed by Bottega Veneta in 1980, and revived in 2017 for the brand’s 50th anniversary. The clutch is characterized by a rigid frame and a soft, seamless body made of nappa leather in our iconic intrecciato weave. Features a snap button and an internal zip pocket.